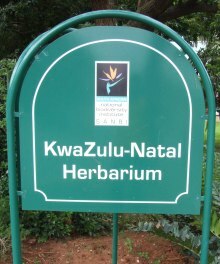 The KwaZulu-Natal Herbarium is located adjacent to the Durban Botanical Gardens, on the corner of Botanic Gardens and St Thomas Roads, Berea, Durban. Download Map: Where to find Us. See Overview for more Contact Information.